The lymphatic system is a vital part of the immune system, and it’s designed to eliminate waste from the body. 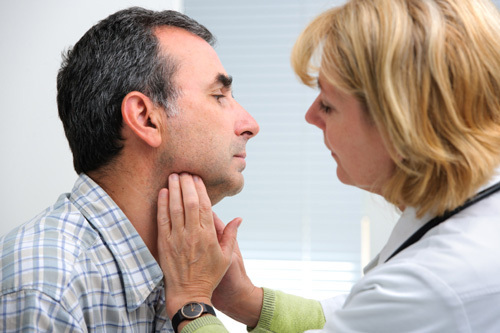 In some cases, it is necessary to drain the lymph nodes when they become clogged. In this article, we will show you how to cleanse your lymphatic system naturally, and also explain the benefits of draining your lymph nodes. The lymphatic system involves a network of vessels that pass through your tissues to allow the movement of lymph fluid, which circulates throughout the body similarly to blood. Lymph fluid moves as a result of walking, breathing, and muscle and intestinal activity. As the muscles tighten, lymph nodes are squeezed, and lymph is filtered through lymph nodes. The main function of the lymphatic system is to cleanse toxins and protect against harmful organisms. Lymphatic congestion occurs when the lymphatic system fails to properly drain, and toxins and cellular waste products will therefore accumulate. Lymphatic congestion can lead to fatigue, stiffness, bloating, swollen lymph nodes, brain fog, itchy and dry skin, cellulite, chronic sinusitis, colds, ear issues, sore throats, and cold hands and feet. If you experience such symptoms, a lymphatic system cleanse may help detox your body. In this section, we will explore tips for how to cleanse your lymphatic system naturally. Adopting an anti-inflammatory diet is one of the better ways to accomplish a lymphatic system cleanse. Good foods for lymphatic drainage will include dark-green leafy vegetables, berries, citrus fruits like lemons, nuts and seeds, unrefined oils like coconut oil and extra-virgin olive oil, and omega-3 foods like wild-caught salmon and seafood. It is also a good idea to include cruciferous vegetables such as cauliflower, cabbage, and broccoli. Good herbs and spices include garlic, turmeric, and ginger. Raw fruit and vegetables can also break down toxic buildup and promote regular elimination to help the lymphatic system stay healthy. Foods to avoid with swollen lymph nodes are refined hydrogenated vegetable oils, sugar, low-quality animal products, and processed foods. You should also determine your food allergens. Some common allergens include soy, gluten, wheat, dairy products, nightshades, and shellfish. Regular exercise and movement is good for getting the lymph fluid flowing. As your muscles move, this improves lymph flow and massages your lymphatic system. Try to complete 150 minutes total each week, or 30 minutes to an hour daily, of moderate exercise, such as walking, running, or playing sports. Other beneficial exercises to keep lymph fluid flowing include high-intensity interval training, yoga, and rebounding—an exercise that involves jumping on a trampoline for 10 to 30 minutes per day. Lymphatic drainage massage is a particular massage therapy that targets lymph flow in the body and breaks up lymph congestion. It will also use specific pressure and rhythmic movements to stimulate the lymph and drain fluid and waste. This reduces the burden of the lymphatic system as a result. Studies show that lymphatic massage can push up to 78% of stagnant lymph into circulation. One study from 2009 found that lymphatic drainage massage is beneficial for reducing pain intensity, threshold, and pressure. Foam rolling, or self-myofascial release, is self-massage that can increase blood flow, help repair tissue, and break up tissue and muscle adhesions that lead to injuries and tightness. Dry skin brushing is another method for boosting circulation and lymphatic flow. It involves gentle strokes on the body with a natural bristle body brush to encourage movement of lymph, remove dead skin and stimulate new skin cells, and open pores and sweat glands. Consequently, dry brushing can also reduce the appearance of cellulite and improve skin conditions. Yoga is thought to encourage detoxification, increase lymph flow, and relieve lymphatic congestion. Some yoga postures that can help improve lymph flow include headstands, shoulder stands, handstands, twisting the abdomen, and placing legs up the wall. Deep breathing exercises can also improve lymphatic flow. When you breathe in, this reduces the pressure in the chest and increases pressure in the abdomen. This can pump lymphatic fluid upward from your legs and remove lymph from your head and arms to drainage points. For deep breathing, you will begin by holding the breath for five counts and then exhale. Practice deep breathing for eight to 10 breaths per day. To drain the lymph nodes and flush out toxins, it is also a good idea to stay hydrated. Avoid sugar-heavy drinks such as soda and fruit juice. Instead, consume lots of freshly squeezed vegetable juices, soups, and filtered water. Aim to drink eight to 10 glasses or purified or filtered water each day. Adding lemon juice is another great way to rehydrate the body and improve lymph flow. There are a number of herbs for lymphatic drainage. A lymphatic system cleanse with herbs may include goldenseal, poke root, red clover, Echinacea, licorice root, burdock root, queen’s root, wild indigo, cleavers, astragalus root, ginger, mullein, peppermint, slippery elm, olive leaf, fenugreek, and sarsaparilla. A cleanse should last no more than seven to 10 days. Other supplements that can help lymphatic drainage and detoxification include milk thistle, activated charcoal, digestive enzymes, and essential oils like oregano, myrrh, frankincense, lemon, and cypress oils. Be sure to discuss any potential allergies or drug interactions with your doctor or pharmacist beforehand. You should avoid toxic and aluminum-based deodorants that block sweating, clog your lymphatic system, and increase your toxic load. Aluminum buildup also leads to Alzheimer’s disease. As well, avoid other chemical-laden products like topical creams, lotions, toothpastes, and sunscreen. Choose natural products that are low in chemicals instead. You can also either make your own beauty products or purchase homemade soaps, deodorants, or other beauty products from private retailers. A traditional sauna, infrared sauna, or steam bath is another simple treatment that can support a healthy immune system and lymphatic system, and naturally detox and sweat toxins from the body. Infrared sauna therapy in particular improves blood flow and increases sweat production, which then removes toxins from tissue. After a long soak in a steam bath or sauna, it is a good idea to consume lots of water to flush toxins from the body, and this allows the system to do its job. However, pregnant women and those with low blood pressure or a history of heart disease should talk to their doctor first. Acupuncture or self-acupressure may also help relieve lymphatic congestion and swelling and unclog your lymphatic system. Choose an acupuncturist that is properly certified and trained. A three-day juice cleanse is another method many use to help activate the lymphatic system and flush toxins from the body. A week before the cleanse, it is recommended to avoid meat, wheat, and sugar. Some specialists will suggest you consume only raw foods like fruit, vegetables, sprouts, nuts, and seeds. While doing the three-day cleanse, stimulate your lymphatic system with 30 minutes to an hour of daily exercise. As toxins release during the cleanse, you may experience dizziness, backaches, headaches, or nausea. These are signs that toxins are being eliminated from your body. It is always best to cleanse or detox under the supervision of a health professional like a holistic nutritionist familiar with juice cleanses. Homeopathic remedies are also used to help drain lymph nodes, including Natrum muriaticum, Rhus toxicodendron, Kali muriaticum, Mercurius solubilis, silicea, iodine, bromine, Calcarea fluorica, sulphur, Nux vomica, Ferrum phosphoricum, pulsatilla, and Calcarea carbonica. There are also homeopathic tinctures that help drain the lymphatic system. Consult a homeopath for the best remedy based on your mental, physical, and emotional symptom picture. Why is it beneficial to drain the lymphatic system? A lymphatic drainage basically acts like a workout for your body. It will release endorphins, boost oxygen flow, and strengthen your muscles. It is also effective for detoxification; skin care; immunity; relaxation; reducing inflammation, swelling, and headaches; and improving healing in general. The following is a deeper synopsis of some of the health benefits associated with a lymphatic drainage. 1. Promotes skin care: Draining the lymphatic system will improve your complexion and help reduce wrinkles, fine lines, and puffiness around your eyes. It can also reduce old scar tissue and minimize new scars before and after cosmetic surgery. 2. Reduces headaches: Most headaches have a component of lymphatic congestion, and lymphatic drainage can potentially help reduce pain and discomfort and improve blood flow. 3. Decreases swelling: Fluid often builds up in the tissues after long periods of travel and immobility, and this leads to swelling and tenderness. For instance, arthritis is a condition where the joints are congested with fluid. A lymphatic drainage will improve conditions where swelling is an issue. 4. Benefits overall healing: After an injury or surgery, tissue may be sore or swollen. However, lymphatic drainage can reduce inflammation, gently drain tissue, and improve overall healing. 5. During and after pregnancy: Fluid retention is common in pregnant women, and lymphatic drainage can provide relief in the feet and legs. Lymphatic drainage can also enhance breastfeeding, especially when breasts are sore and ducts are blocked. The lymphatic system is designed to eliminate waste from your body. Most people notice great improvement after draining the lymphatic system. This is because it benefits the skin, reduces swelling and pain, and improves circulation and the flow of lymph and blood. In this article, we explained how to cleanse your lymphatic system naturally with diet, massage, exercise, dry skin brushing, hydration, yoga, deep breathing, herbal remedies and supplements, homeopathic remedies, juice cleanses, acupuncture and acupressure, and soaking in a bath or sauna. The rejuvenating effects of your lymphatic drainage could have you looking and feeling great as a result. Williams, D., “Exercises to Help Drain Your Lymphatic System,” Dr. David Williams; https://www.drdavidwilliams.com/lymphatic-system-drainage-exercises, last accessed June 29, 2018. MacGill, M., “What does the lymphatic system do?” Medical News Today, February 23, 2018; https://www.medicalnewstoday.com/articles/303087.php, last accessed June 29, 2018 . Ekici, G., et al., “Comparison of manual lymph drainage therapy and connective tissue massage in women with fibromyalgia: a randomized controlled trial,” Journal of Manipulative and Physiological Therapeutics, Feb. 2009; 32(2): 127-133, doi: 10.1016/j.jmpt.2008.12.001.